LONDON (Reuters) – The European Union’s banking watchdog set out a “roadmap” on Friday to help plug gaps in how the rapidly evolving financial technology sector is regulated, but urged caution in tackling cryptocurrencies. New EU rules from January make it easier for start-ups to offer traditional banking services such as payments. 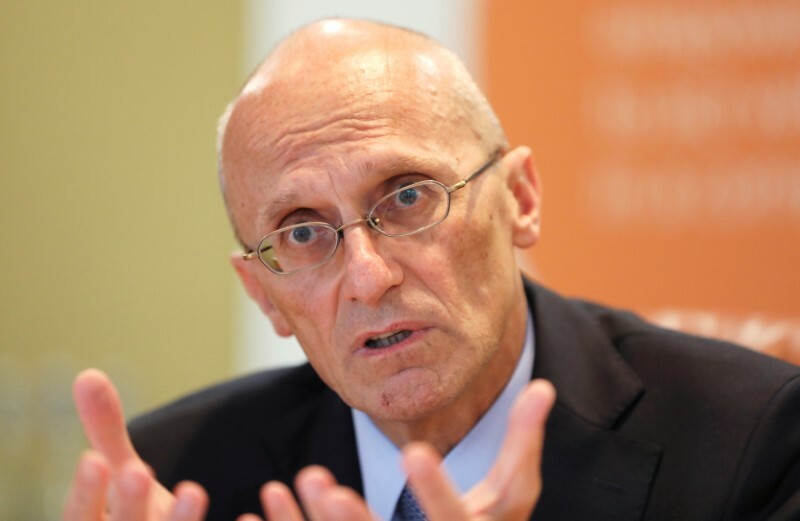 Andrea Enria, head of the European Banking Authority, said the watchdog will analyze the nature of services provided by fintech firms “with a view to ensuring that similar services, entailing comparable risks, are regulated in a consistent way across the EU”. The watchdog, which helps the bloc flesh out banking rules, will report on its assessment by the end of the year. Regulators have held back for several years from introducing comprehensive rules for fintech, saying the sector is still tiny compared with mainstream banking. Politicians are also keen not to stifle innovation as London, Paris and Berlin jostle to lure fintech firms. Enria said EBA will review regulatory “sandboxes” or controlled environments set up by some national regulators to allow fintech firms to try out new apps on customers. “We need to ensure that firms can enter and participate in the internal market for financial services on an equal footing and that a high standard of consumer protection is maintained,” Enria said in a speech at Copenhagen Business School. Brussels made its first foray into fintech regulation this week by proposing an “optional” licensing system for crowdfunding.